The High Output Humbucker: Stronger and bigger sounding humbucker without being too dark. Works great with a coil split, perfect for single notes with high gain. The High Output Humbucker is stronger, beefier, and thicker than our Modern P.A.F. THE STRONGEST HUMBUCKER WE MAKE. The High Output Humbucker has the thickest, fattest tone of all out humbuckers. Perfect for high-gain playing, especially with single notes. 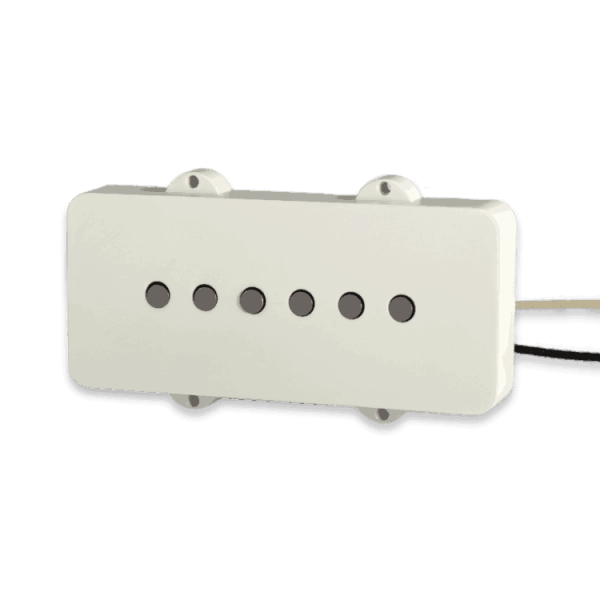 Our High Output Humbucker is a thick-sounding humbucker that sounds great when split. It’s perfect for anyone looking for the beefiest tone possible. Wound with 43-gauge wire and AlNiCo V magnets, you’ll get a smooth grind, with a ton of output. Our High Output Humbucker is the thickest and loudest Humbucker we make. It has a very aggressive and dark tone. It’s beefier and more aggressive than our Modern P.A.F. . Expect a thick-sounding single-string note that’s quick to break up. Chords will sound full and crunchy with a good amount of soft-clip compression. The High Output Humbucker is best with distortion, especially with single-notes. The grind is thick and smooth, and single notes will sustain and sing. Because this humbucker is so strong, it’s ideal for coil-tapping. This will leave the single coil pickup strong enough to play well with others. Best used in a bridge position, the High Output Humbucker will sound great and have a warm, round pick attack. 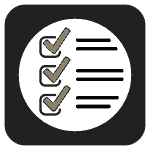 Our manufacturing process allows us to achieve unparalleled quality control. High Output Humbuckers consist of USA-Made bobbins, baseplates, magnets, and wire. We wind each pickup by hand, one at a time. Each pickup is wound using our proprietary “Sectioning” technique. This gives the pickup a sweet, clear tone. What’s the difference between this model and the Modern P.A.F.? The Modern P.A.F. 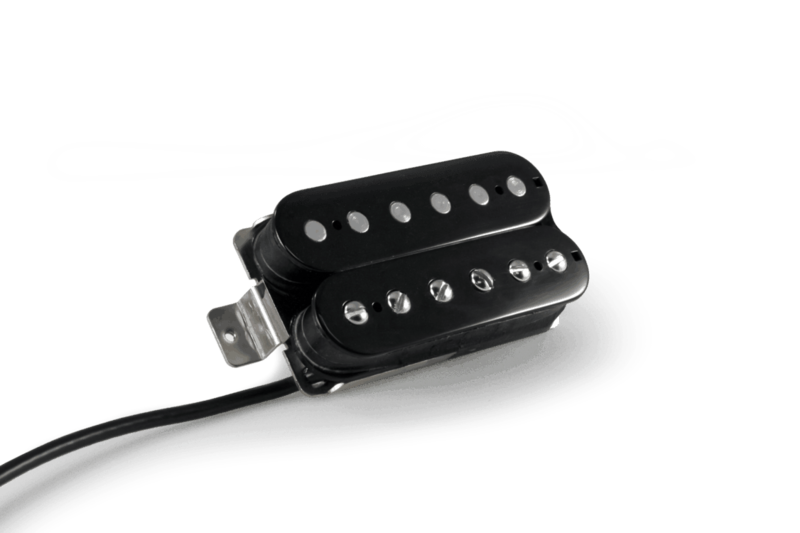 has less turns per coil and uses a weaker magnet, giving this pickup a warmer and thicker tone than the Modern P.A.F.. In a nutshell, this pickup is the highest output pickup we make, with lots of volume and thickness. Can you Coil Tap this model? Yep! 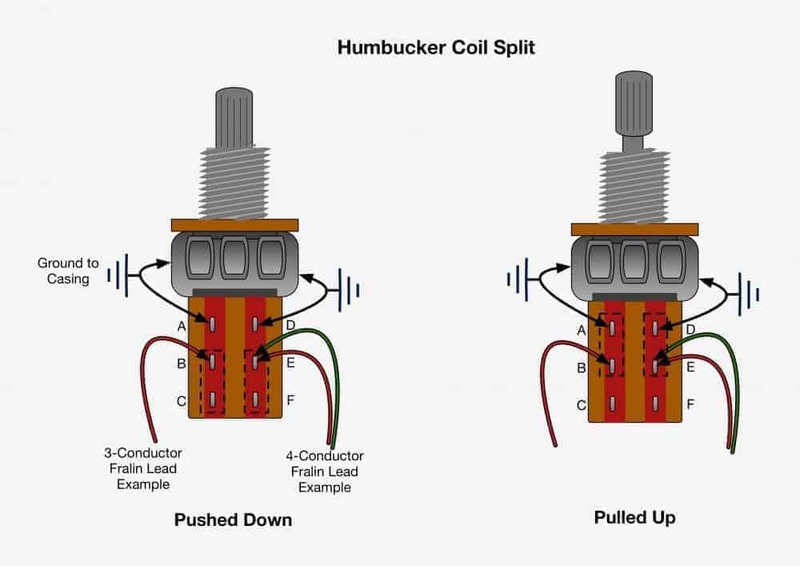 Choose 3-Conductor Lead and use our diagrams here. This model is strong enough to split as-is (no resistor needed). What Output should I choose? Our Stock Set of High Outputs reads 11.7K in the Neck and 13.7K in the Bridge. If you want a stronger and darker tone, go with a higher output. 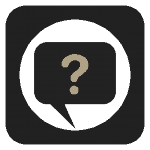 If you want a clearer and more open tone, go with a lower output. High Outputs are wound with 43-Gauge Single Poly Nylon Wire. They use USA-Made Alnico 5 Magnets and USA-Made Steel Screws. We use Nickel-Silver Baseplates and Covers. Like the originals. The Stock Set of High Outputs reads 11.7K in the Neck and 13.7K in the Bridge. The outputs are compensated and all sets have matched volume. All our Humbuckers Meter Down, or, are Strat polarity. I got a pair of these in a guitar I bought years ago. At first I was going to replace them, but I decided to give them a try. The guitar is long gone, but I have held onto the pair of HOH pickups for years. I play mostly classic/southern rock, blues and Americana, this one set has been swapped into my guitars for years. I primarily play Les Paul’s, I wire these up to split front and back to add versatility. Do not let the hot wind fool you, these are still PAF types, and can get that classic sound with the volume rolled off a bit. I love rolling the volume and getting different tones out of my guitars. 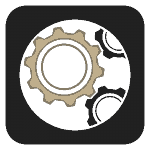 Pinning the volume at max still gives the clarity, but with a little “push”. I have tried many other “hot PAF” types (Boggs, Arcane, Duncan, etc.). Most overwound PAF types get really mid focused and “beamy”, others get too bright. The HOH have a nice balance, not too much midrange, just enough to get you noticed during solos. The split sounds are great too. I have played entire gigs with the rear pickup split, copping great Tele sounds from my Les Paul. Even the split sounds are fat, never shrill or “ice picky”. If you want that classic PAF tone, but with a little more “juice”, give these a try! 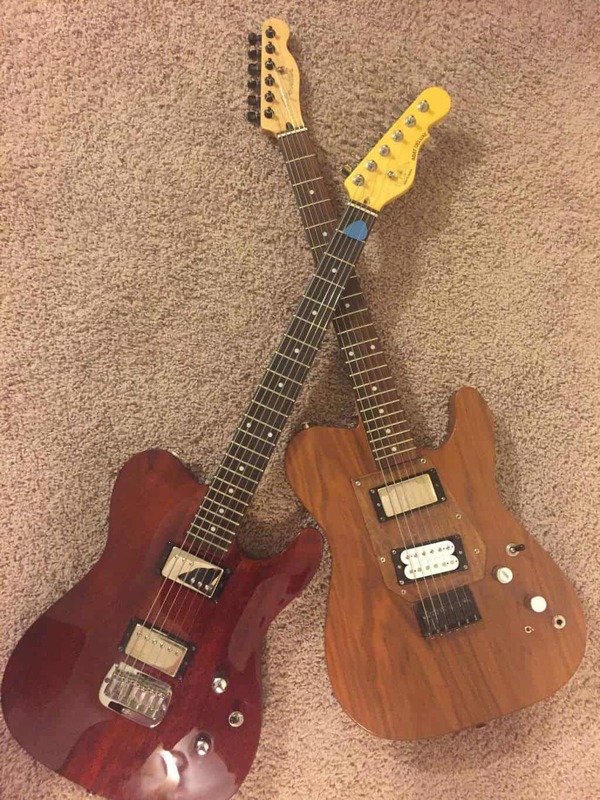 I have Fralin High Output Humbuckers in the bridge position of two HH Tele style axes. They sound great in full humbucker mode for rich rock soloing. Particularly in bright guitars, these are the way to go. More impressively, these are the only humbuckers I have ever had that really sounded great tapped. And I mean GREAT! Here is a little trick if you want to get a great tapped bridge single coil soloing sound and also have Strat type “quack” from a two pickup (H-H) axe. Flip the bridge High Output Humbucker around so the coil with the adjustable poles is forward (closer to the neck). This is opposite of how bridge pickups are typically set up. This does two things. 1) It puts the active coil with adjustable poles forward when the pickup is tapped. Thus, it’s in that perfect sweet spot 2″ forward of the bridge (vs 1.5″ for a standard Strat or Tele pickup). It still has plenty of bite there, but isn’t as ice-picky as a Strat or Tele bridge pickups can be. It “IS” in the optimal spot for soloing. That half inch fattens it up just enough to make your tapped leads really sing and cut through. Blues, country, rock, you name it. 2) In an H-H style guitar with the bridge tapped, because the active coil is closer to the neck, if you match it with one of Lindy’s Big Singles in the neck or even a low to mid wind P92, you get a very nice Strat in-between sound – that quack Strat players love. In standard Tele set-ups, the two coils are too far apart for this. Interestingly, with this configuration, when you un-tap the bridge High Output Humbucker (run it full humbucker) and use the middle position with a Big Single in the neck, the tone is very close to a Tele middle position, albiet higher output. Try flipping a bridge High Output around as described and you’ll find yourself soloing on that bridge position while tapped a lot. It’s such a sweet sound 2″ forward of the bridge! Not to mention the quack you can get in the middle position with a Fralin Big Single in the neck. Note: this would also work with one of Lindy’s Strat or Tele neck single coils in the neck if you wanted a S-H two pickup axe instead of a H-H one. With custom pickguards, you can even maximize the “quack” by moving the neck pickup back 3/8″ to 1/2″. Then you truly have Strat pickup spacing. I did this on the Walnut Tele pictured. Another benefit of this two pickup option vs a Strat configuration, is there is no middle pickup to constantly hit with your pick or fingers if finger-picking. 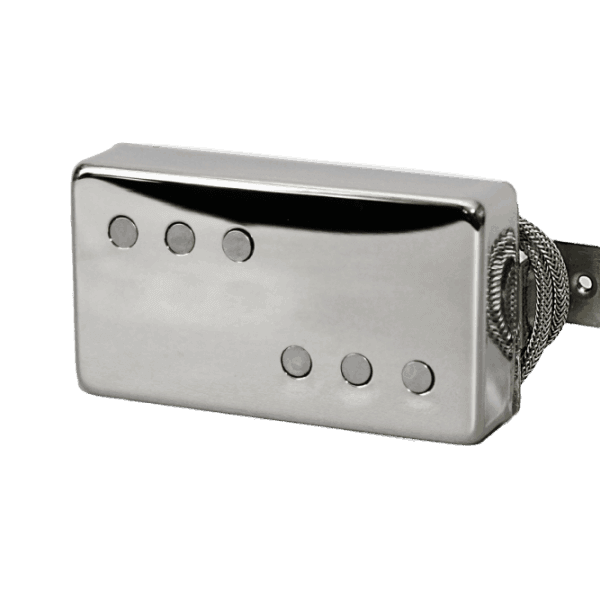 Bottom line, because a Fralin High Output Humbucker sounds great both tapped and in full rich bridge humbucker mode, it gives you tremendous versatility in a two pickup guitar that you’re not gonna get from a PAF or most other bridge humbuckers. After a discussion with Lindy, I put these pickups in a vintage Gibson KZII guitar. The KZII was not a high-end Gibson when it came out but I love the way it is balanced (unlike my ’66 ES335 and my ’72 Les Paul Custom) and is light as a feather (unlike my Les Paul that requires a visit to the chiropractor after playing it for more than 30 min.). I wanted the KZ to sound better than it did with the stock pickups so I had Lindy make some High Output humbuckers for me. After installing them I plugged the guitar in and was completely blown away by the quality of the sound. I’ve a great Black Face amp and the combination of the two is astounding. Warm, creamy, expressive, clean if desired, breakup easy and distinct, and very sensitive to knob positions which is a delight. The variation of sounds by changing these positions allows it to be played on a large variety of musical styles. I have a decent amount of great guitars and for now, this little marginalized KZII has easily become my favorite electric guitar. Lindy and his crew are as good as it gets, not only in product but also in customer service and attitude. I have Lindy’s pickups in a bass and three guitars including this KZ and they all sound fantastic but distinctly different, which is the point. After over 60 years playing and writing music it took me this long to discover Lindy and his crew. Advice: Don’t wait as long as I did!